An innovative bath product from Australia is seeking to raise $25,000 in crowdfunding from Indiegogo to cover its production and manufacturing costs. The Elevare Shower Step provides an easy way to shave, exfoliate, moisturize or apply tanning cream in the shower. In a media release creator and businesswoman Leanne Brown, who is also a mother of two, said she has been frustrated by how awkward it is to balance and shave in the shower. Because of this she then sought to find an easier and safer way. “Many women will want this product. It provides a faster, safer way to shave. No more worrying over whether you’re going to fall when trying to shave in a confined shower stall or propping your foot on a wet tub ledge. Many won’t know how they survived without it,” said Brown. The Elevare is a safe, one-piece design that fits right in the corner of the shower, kept in place by a non-slip bottom grip. It was professionally designed by Charlwood Design, an award-winning industrial and product design company from Melbourne. The patented product is easy to clean and can store a razor in the hanger. It also comes with a travel bag for easy transport. The campaign is looking for investors that will help push its production set to begin in January next year. According to the media release the product has already received the green light for mass production and all money raised will be applied for tool and manufacturing costs. Investors have until the end of October to contribute to the campaign and they can choose the amount they will donate and will receive a corresponding perk in return. For $25 they can be one of the first 250 people to receive Elevare. For $43 they receive the product along with a travel bag, and for $155 they will get an Elevare step with their name engraved on the body. Other amounts are available for contribution. 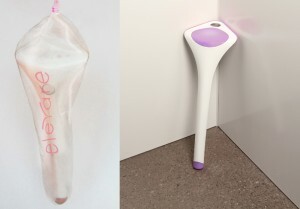 Investors can support the project by making an investment on the project’s Indiegogo page at www.indiegogo.com/projects/elevare-shower-step.